Potential | Children Are Our Future Now! What mountain would you like to move? Nothing is too great if you have passion and are motivated. 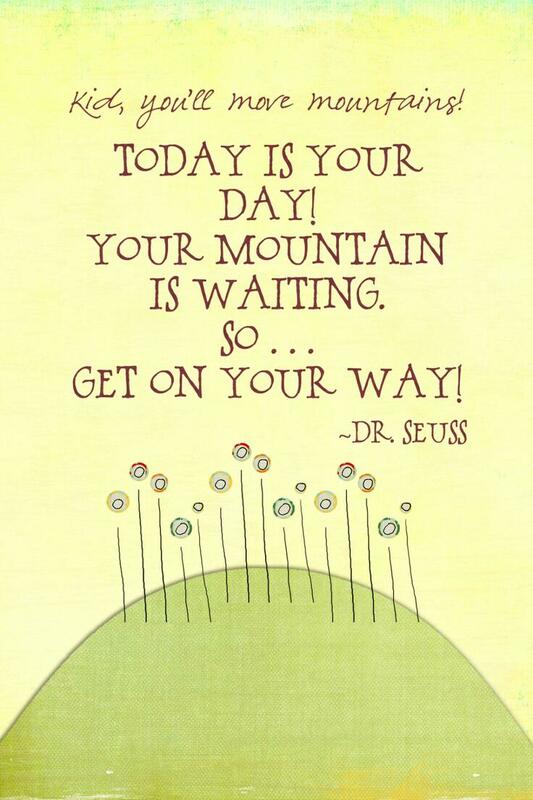 Image from Motivational Quotes, Quote from Dr. Seuss. Written & Compiled by Paulette Motzko. March 18th 2017 12:34 p.m.
Is there something that other people have told you is impossible but you know it’s not? Is there a goal that you would like to achieve? What are some of the big goals or “mountains” you want to climb? Anyone can answer these questions no matter what age. Remember that passion is the driving force the propels you forward like the jet engine of a rocket, towards your goals.